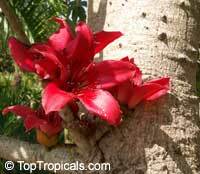 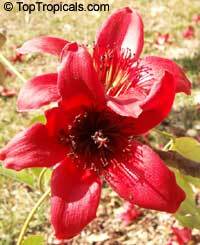 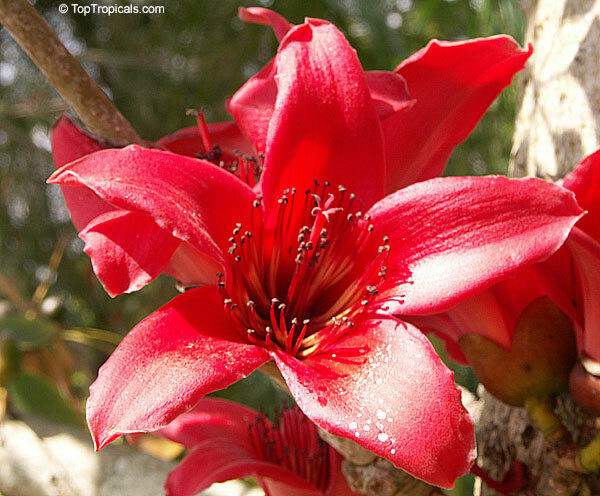 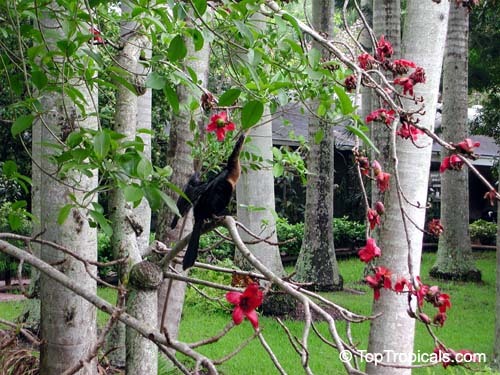 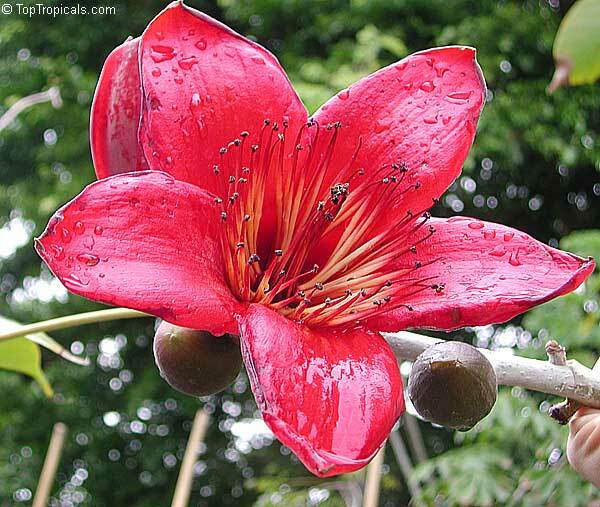 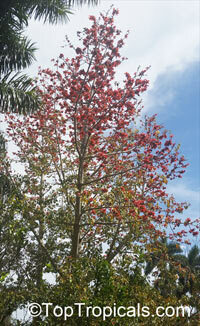 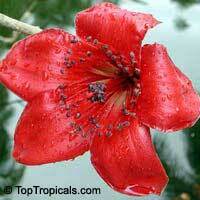 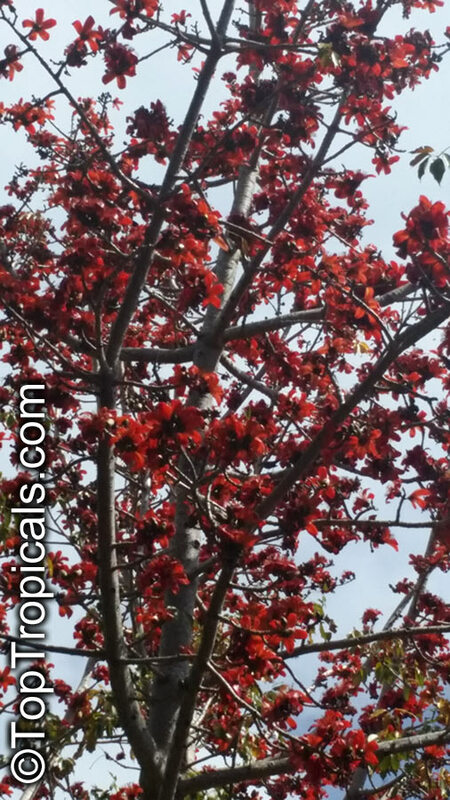 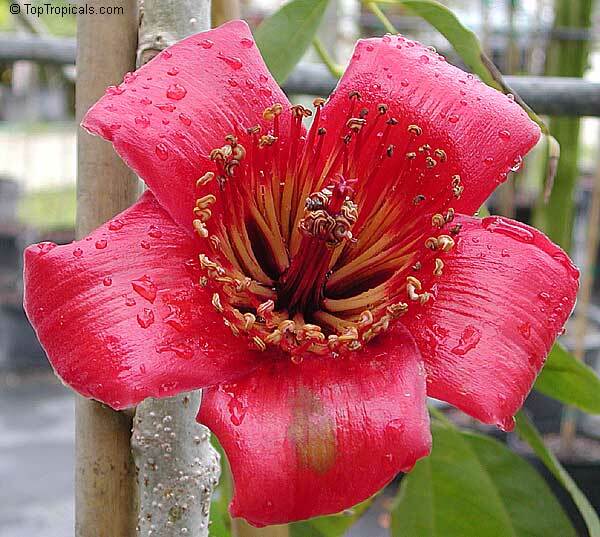 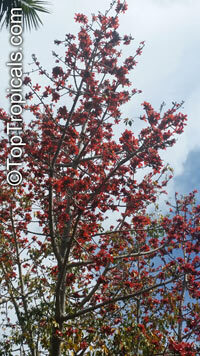 Spectacular tree with red lily-like flowers. 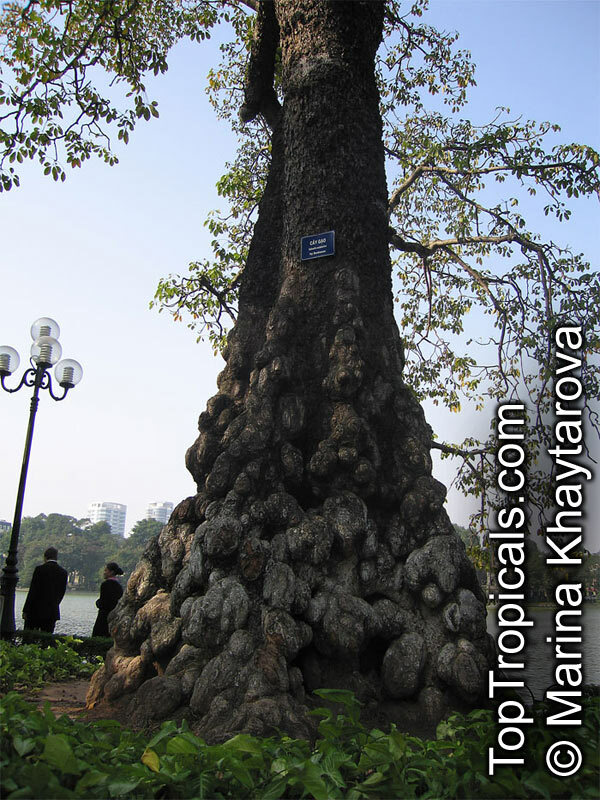 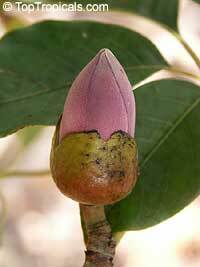 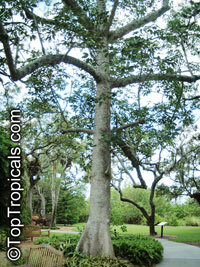 It can grow into a giant tree with heavily buttressed trunk. 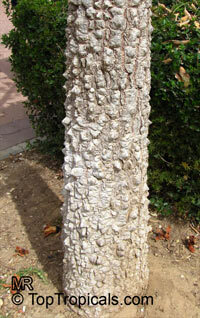 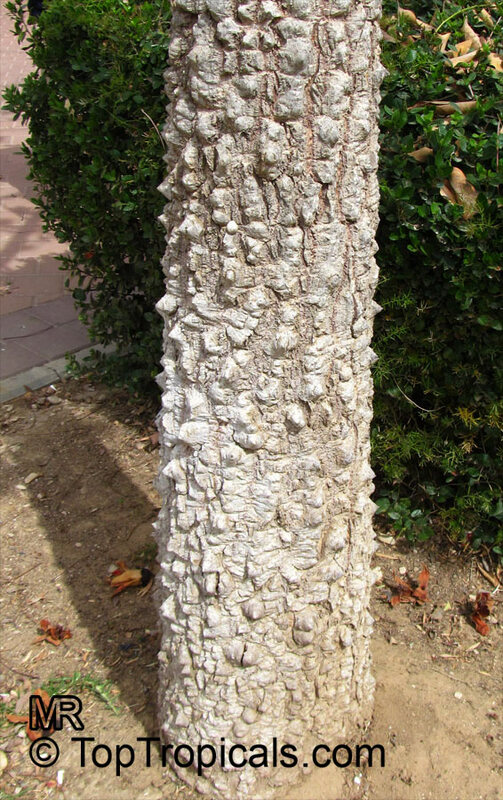 Young trees may have spines on trunk. 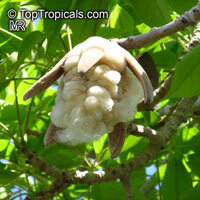 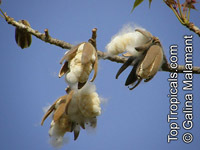 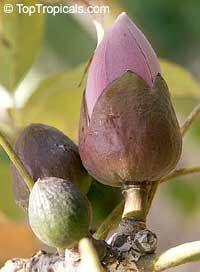 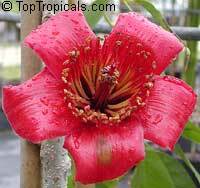 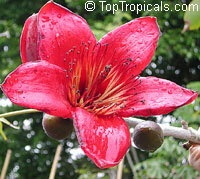 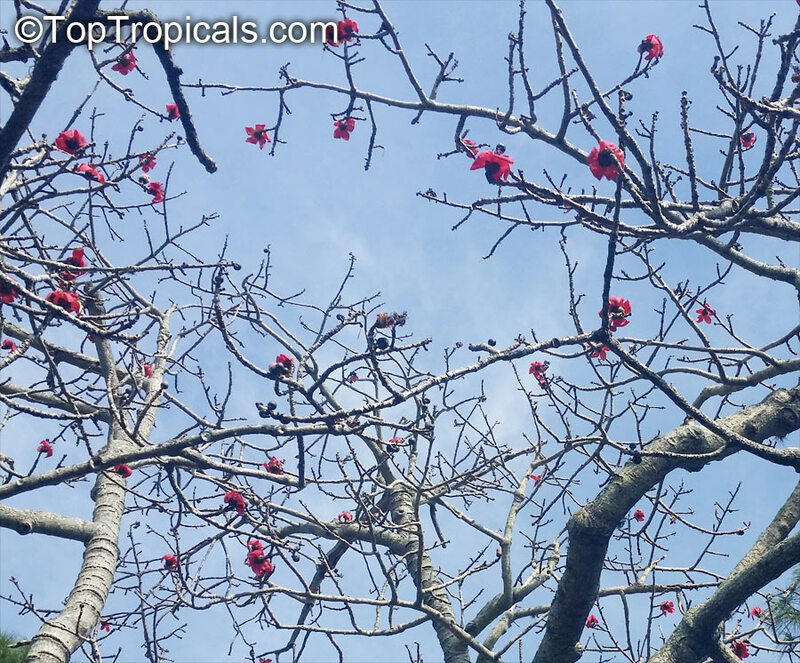 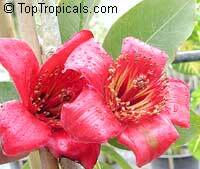 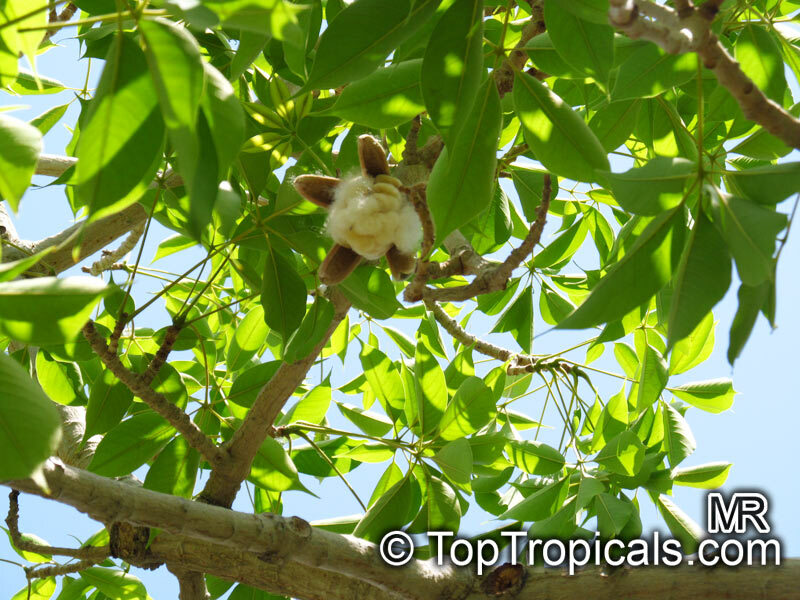 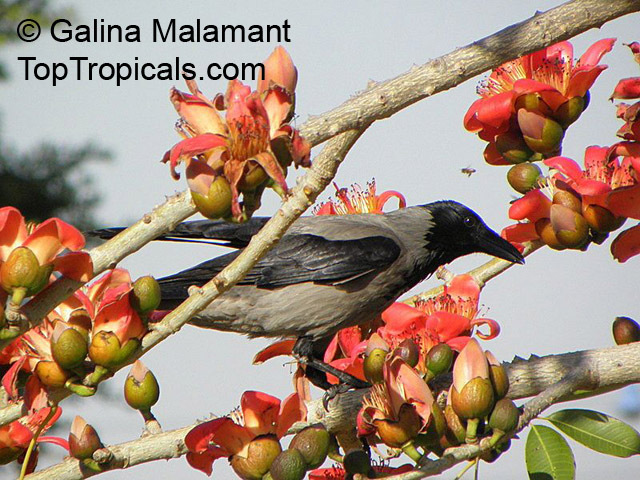 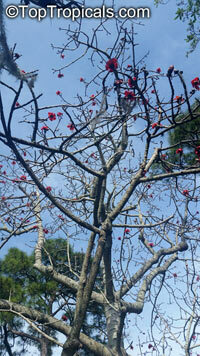 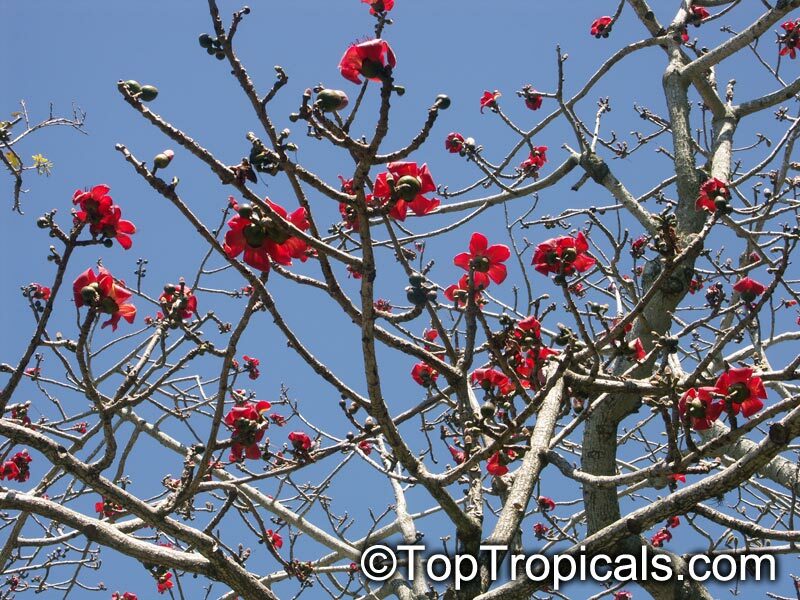 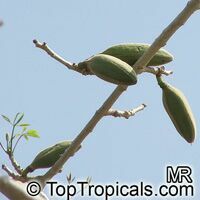 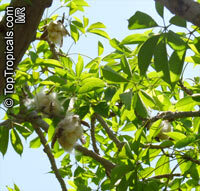 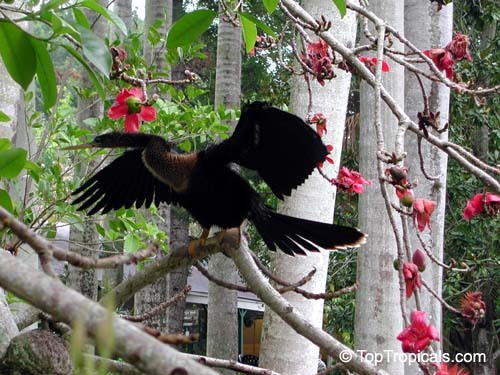 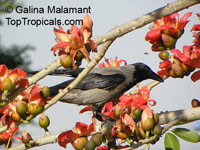 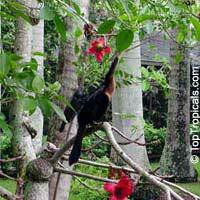 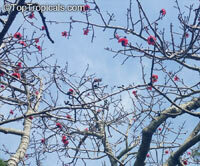 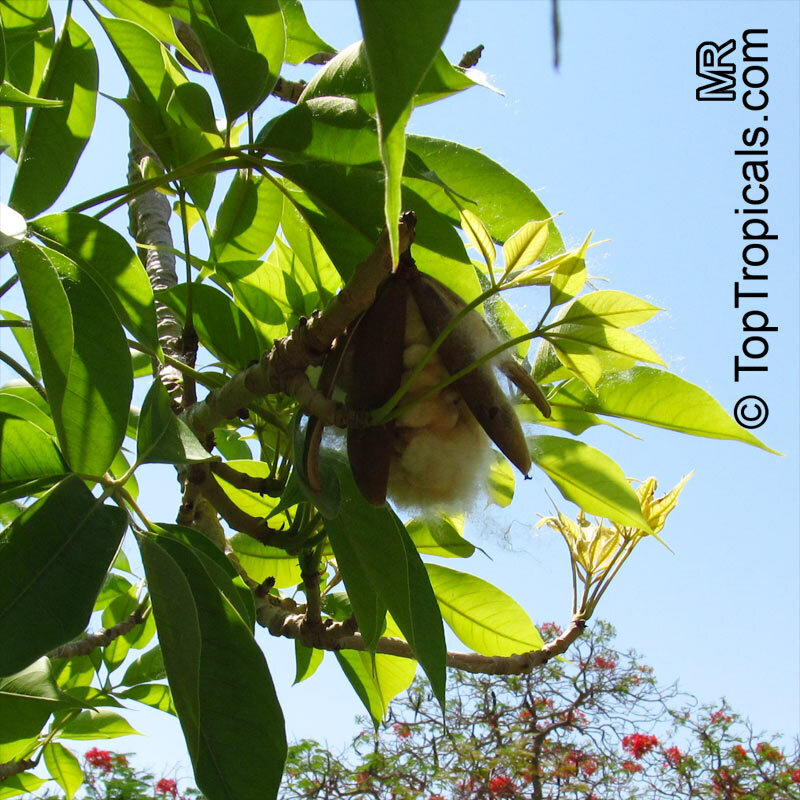 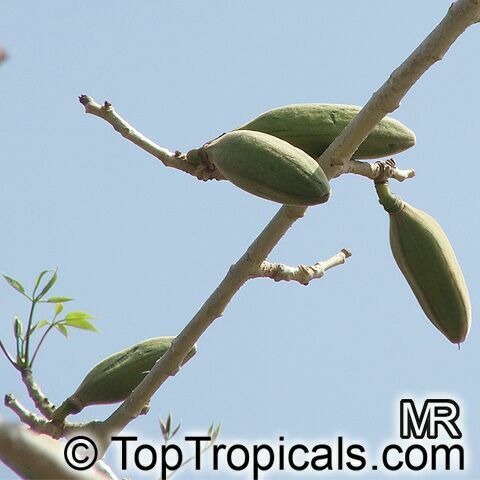 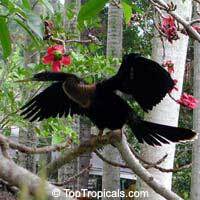 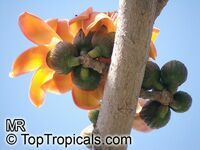 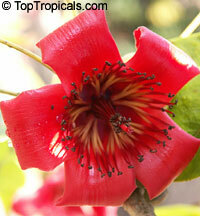 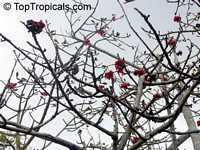 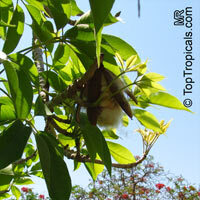 The woody fruits contain silky floss used in pillows, etc. 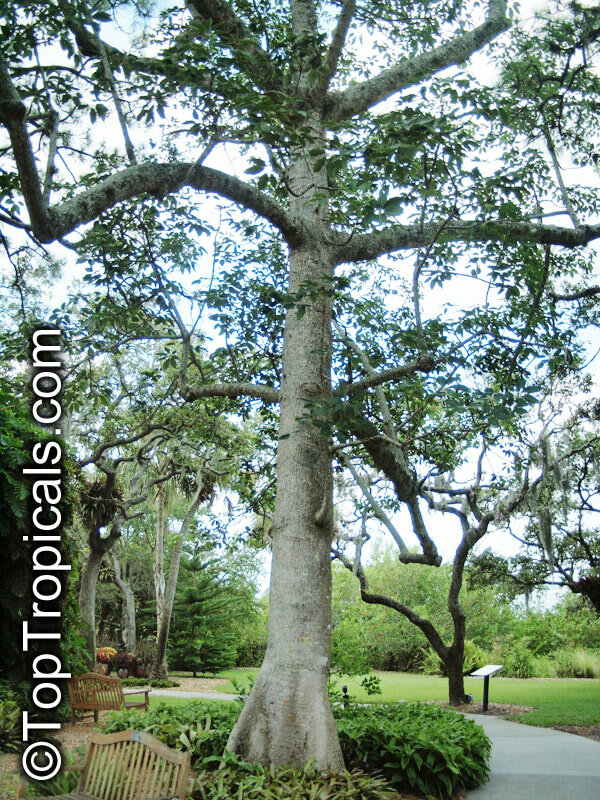 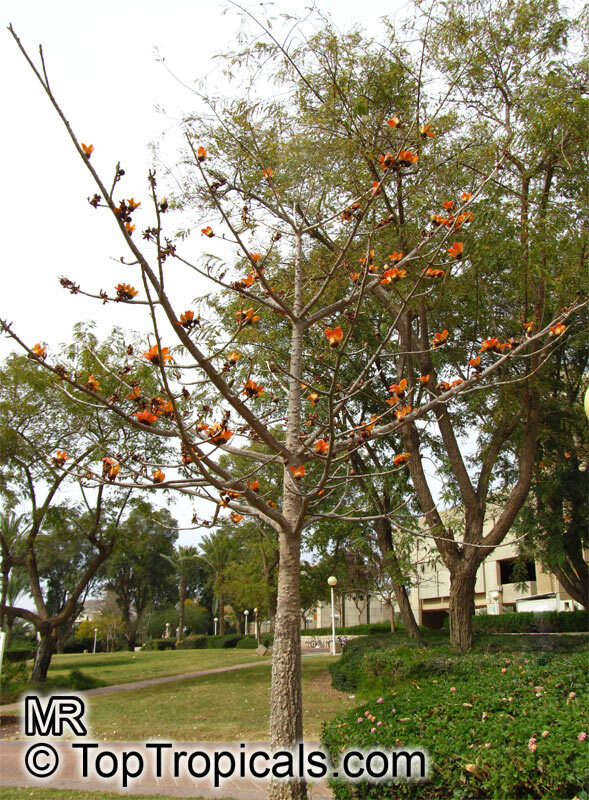 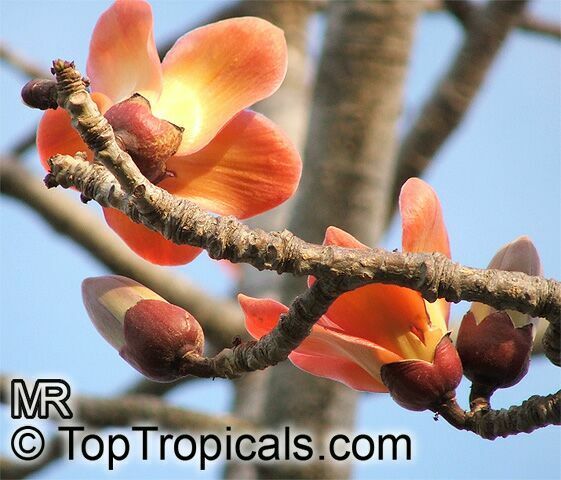 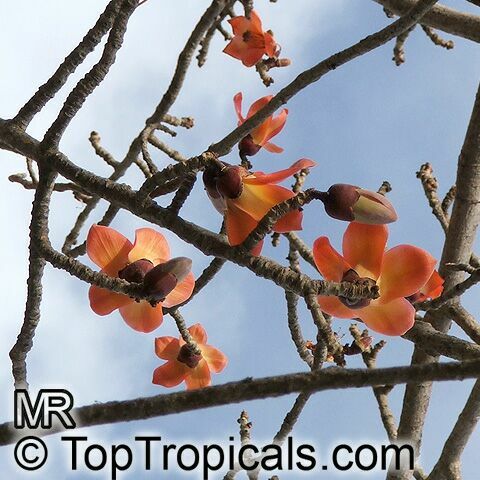 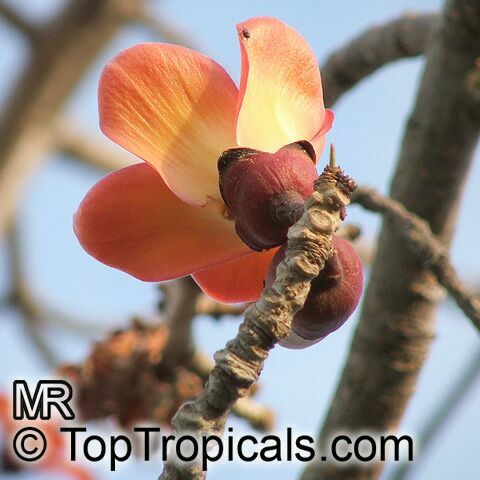 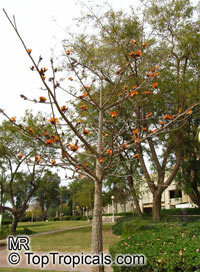 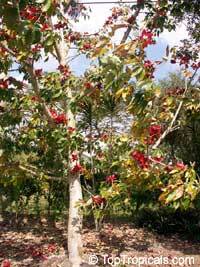 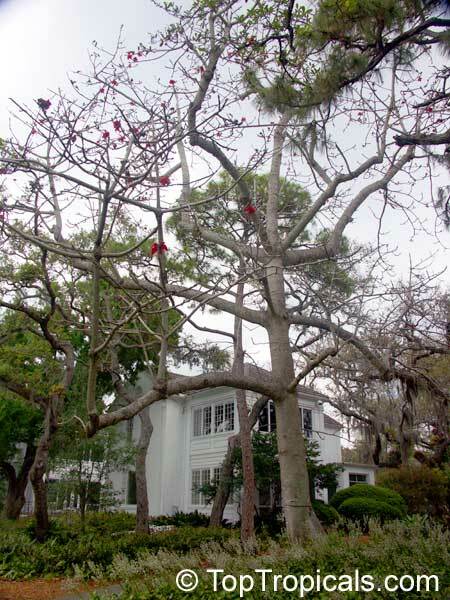 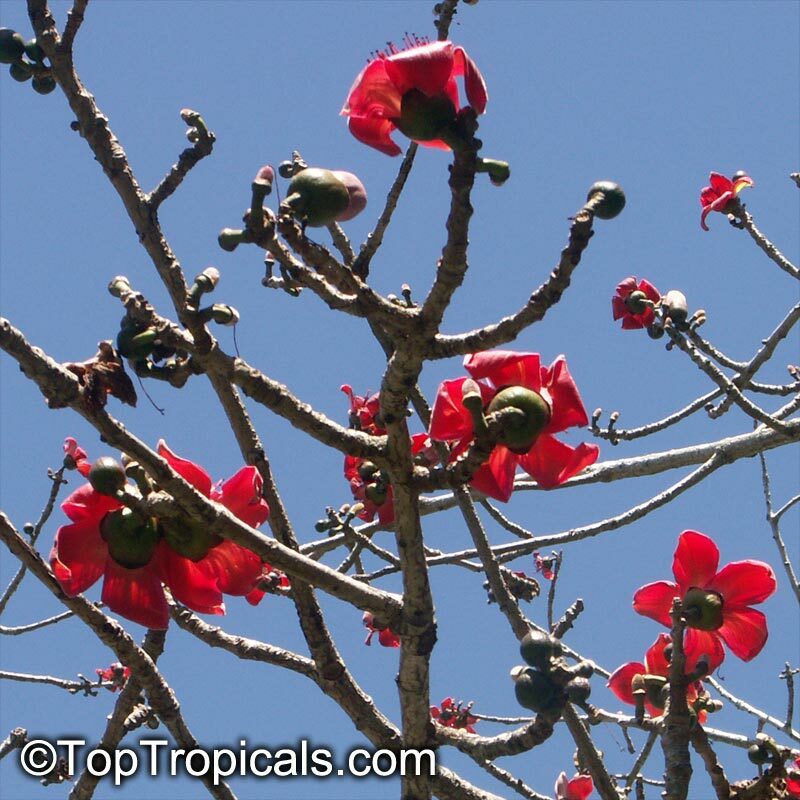 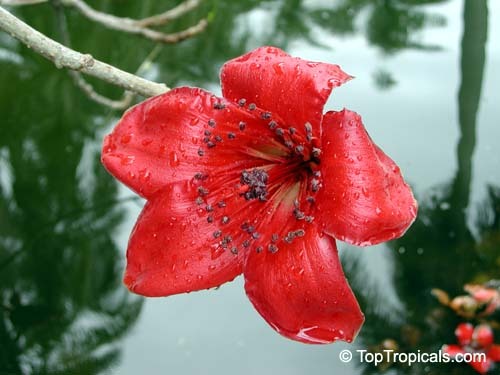 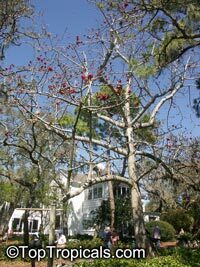 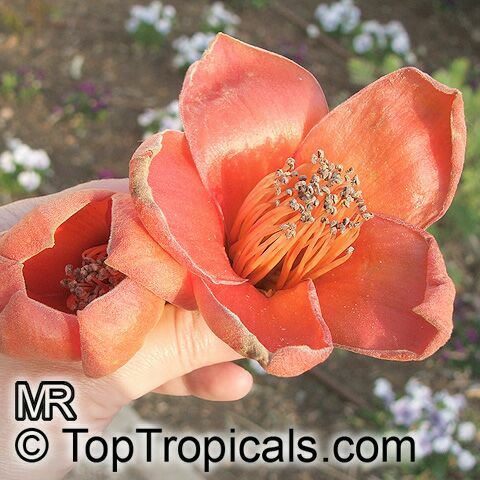 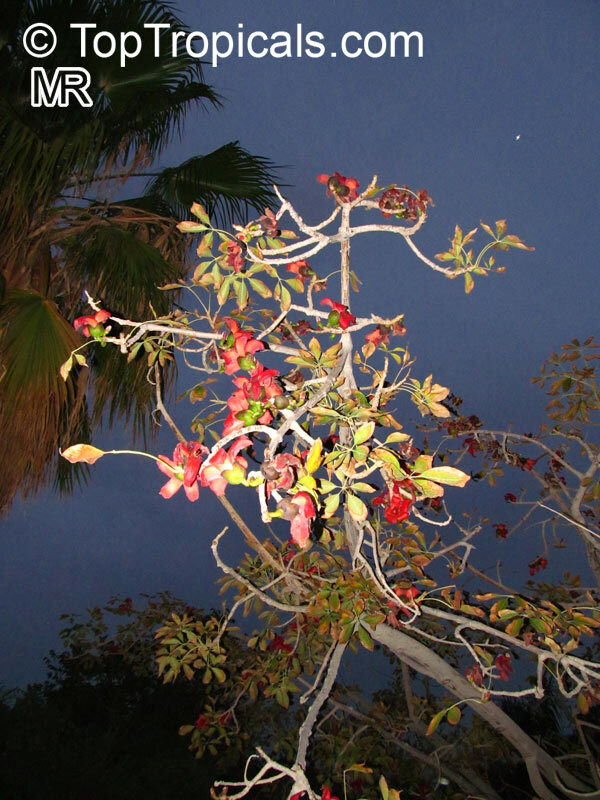 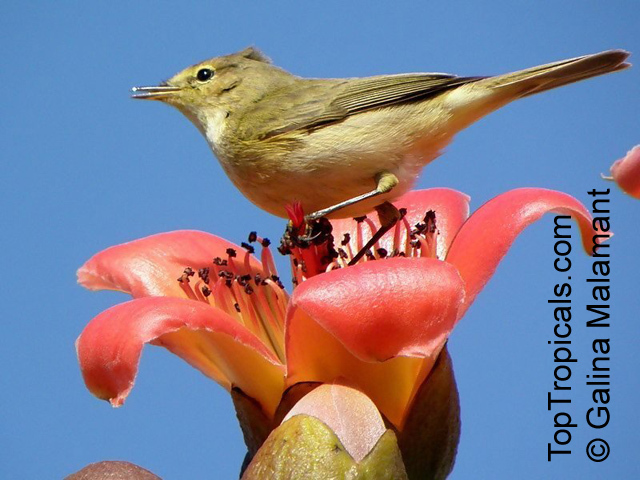 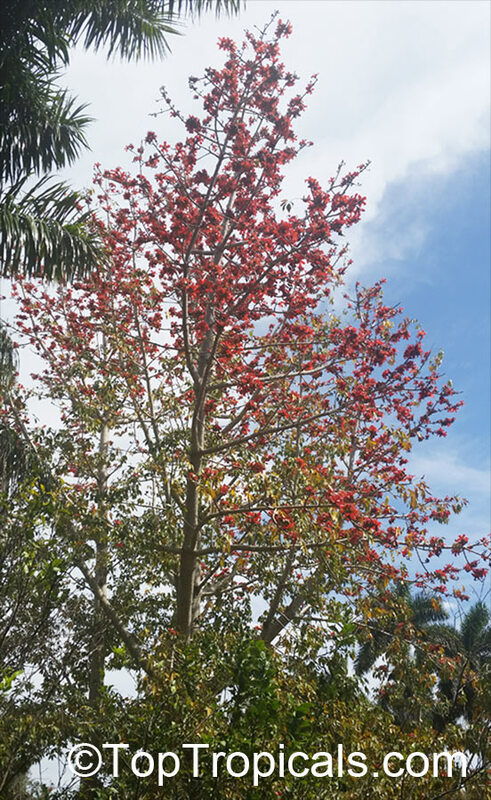 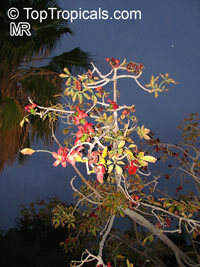 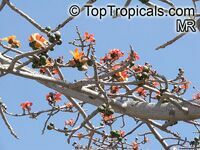 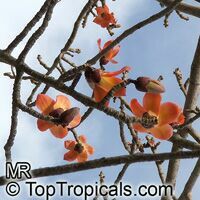 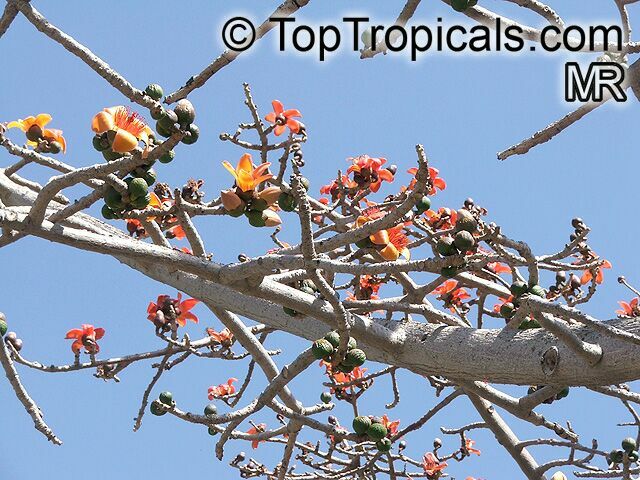 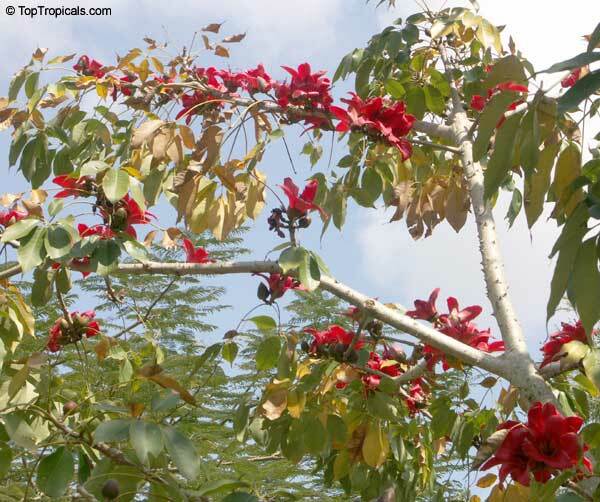 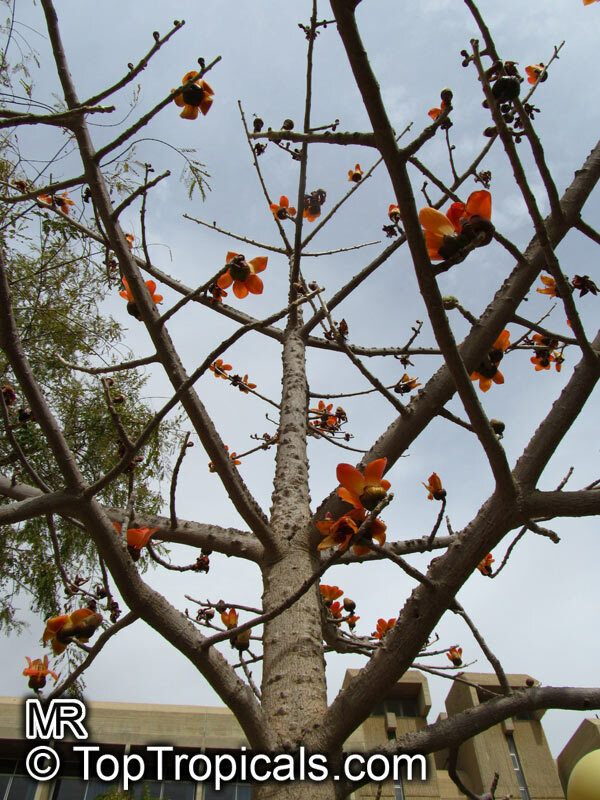 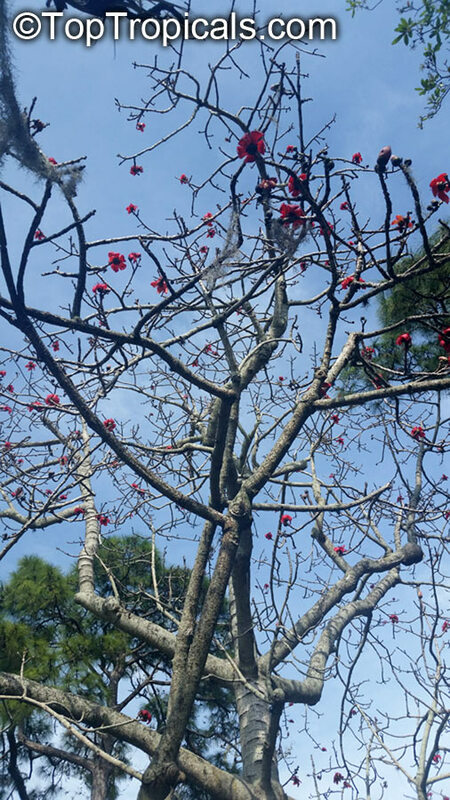 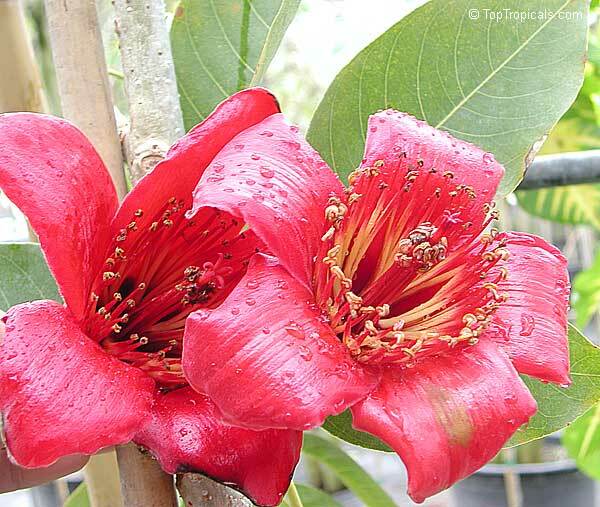 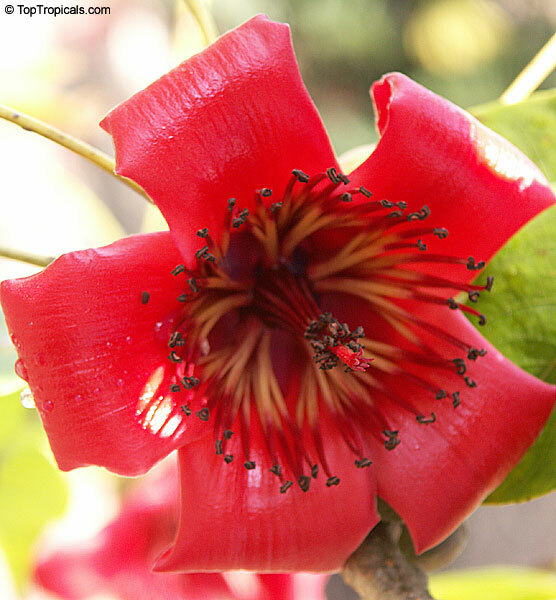 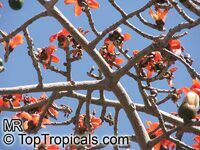 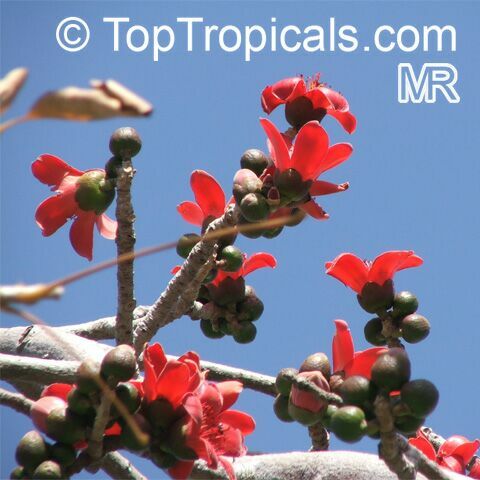 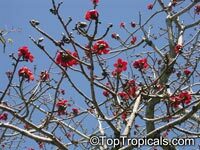 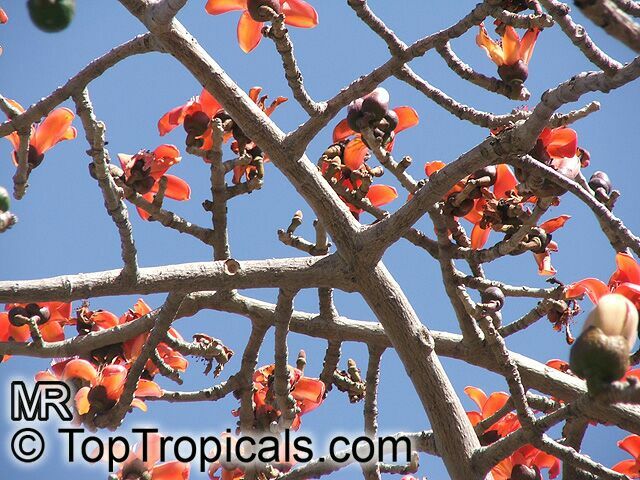 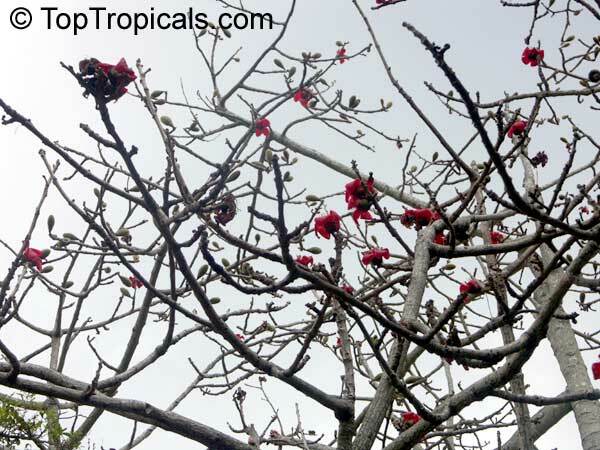 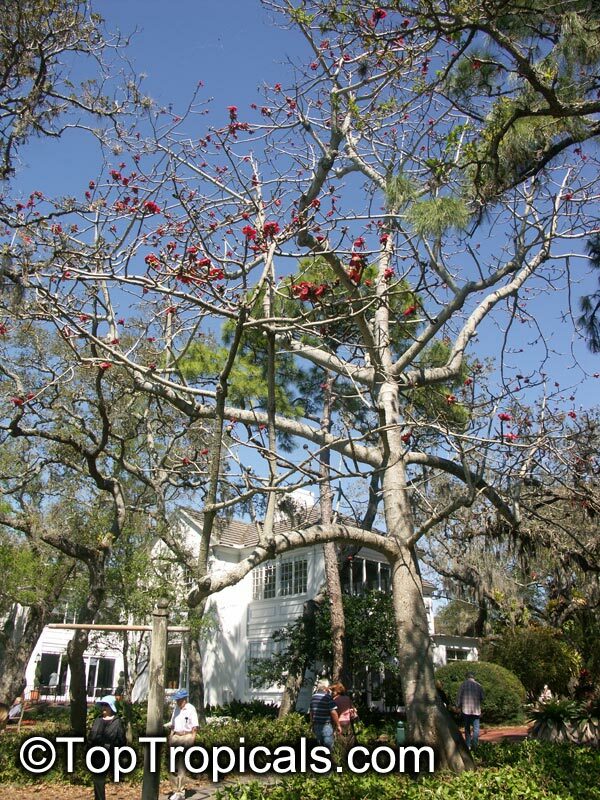 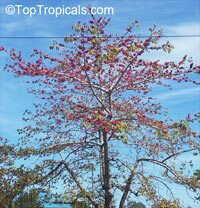 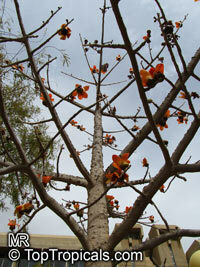 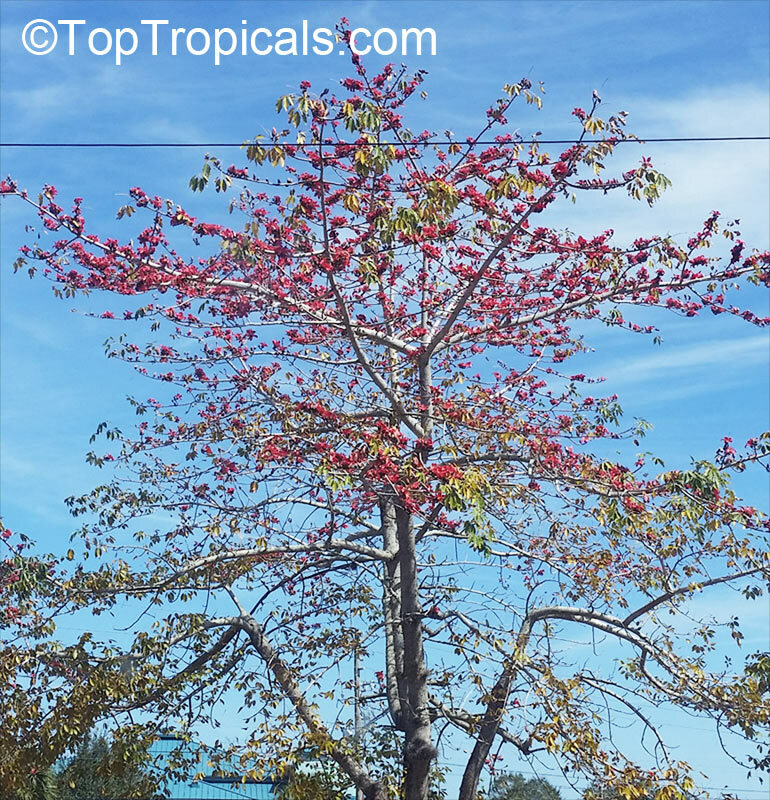 The large, lobed leaves drop in the winter and at that time masses of large orange/red flowers appear and the tree is then completely void of leaves.It is a lowland tree found in several coastal habitats: in coastal vine thickets, on dunes or cliffs above the beach or around lowland streams. 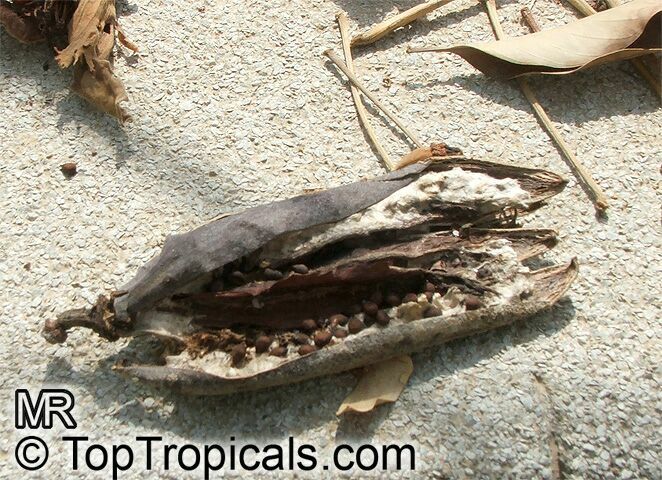 The taproot is edible.